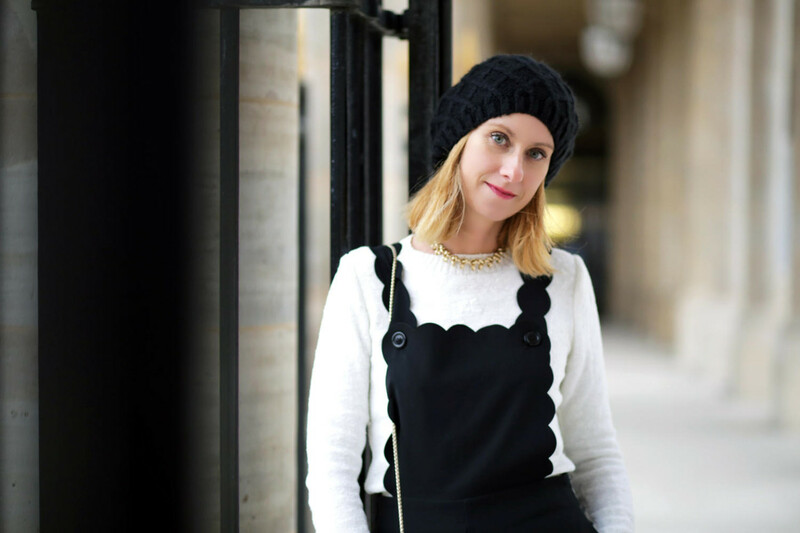 The Jumpsuit – Blog Mode Tendance et Lifestyle| Paris Beaauuu! Days pass and are not alike. Last week I presented you a black and white look. Well, I repeat the experience of the two-tone black and white outfit but this time wearing a white under-sweater and a jumpsuit with scallop edges. A simple new outfit (except for the unpractical thing of having to remove and put back the braces of the jumpsuit to go to the toilet) but effective, perfect for the mid-season and that I have accessorised with a golden choker chain necklace to give a chic side to the outfit, my beannie worn as a beret and heels to elongate the silhouette. Next step, wear this jumpsuit in summer! Besides, about preparing this post I made my small selection of jumpsuit that are actually in shops and that we can wear now or for the beautiful days 😉 Do you have a favorite?